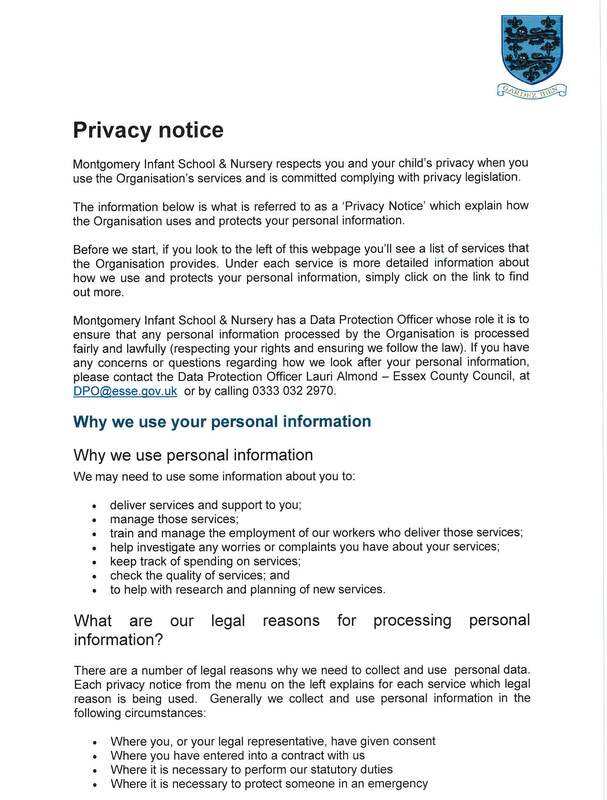 Montgomery Infant School & Nursery are committed to protecting your privacy. 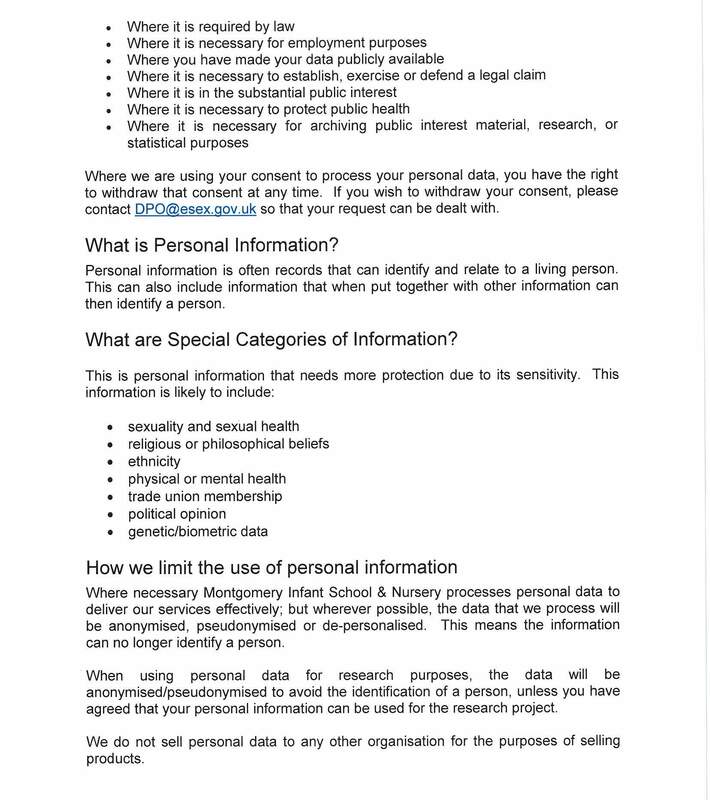 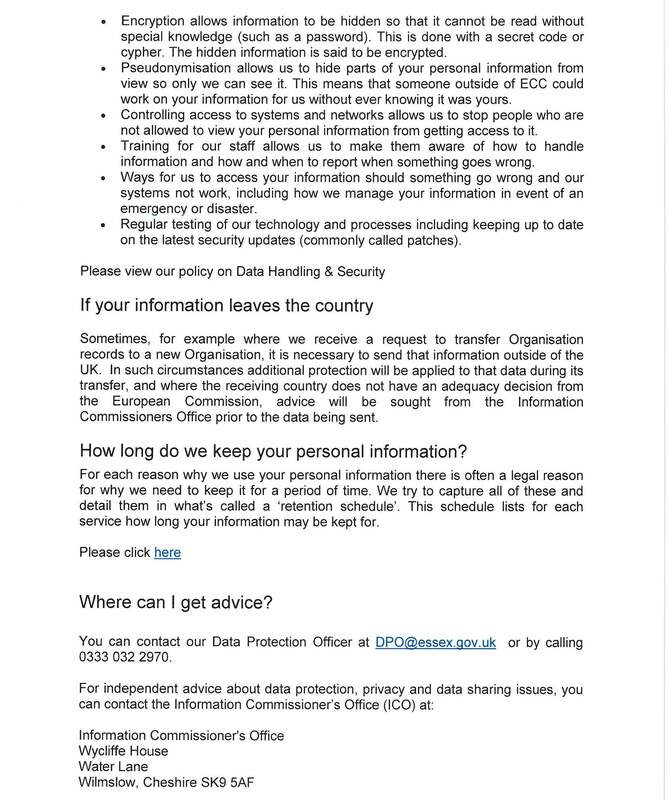 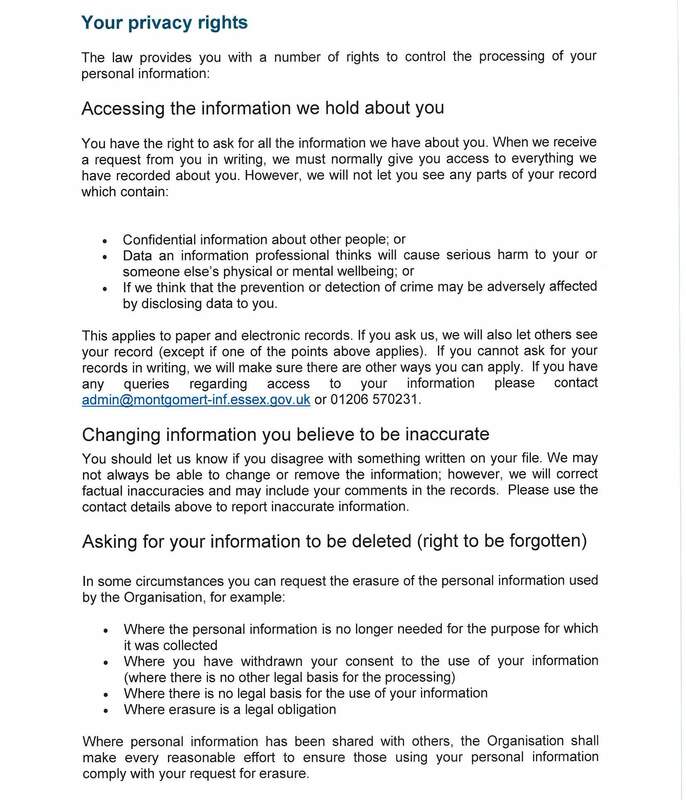 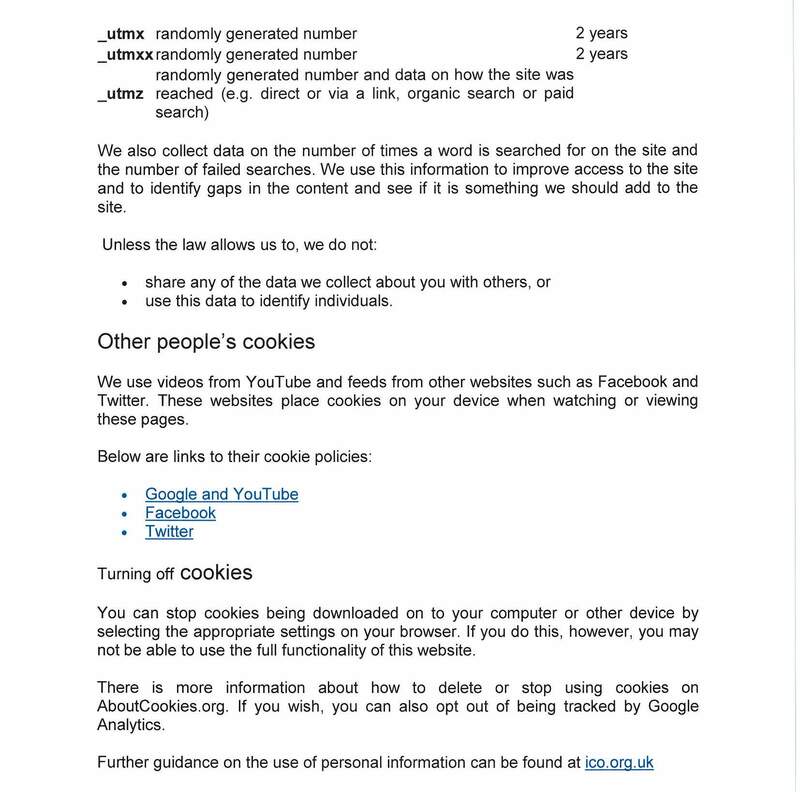 To find out how we use personal data please read our notice below. 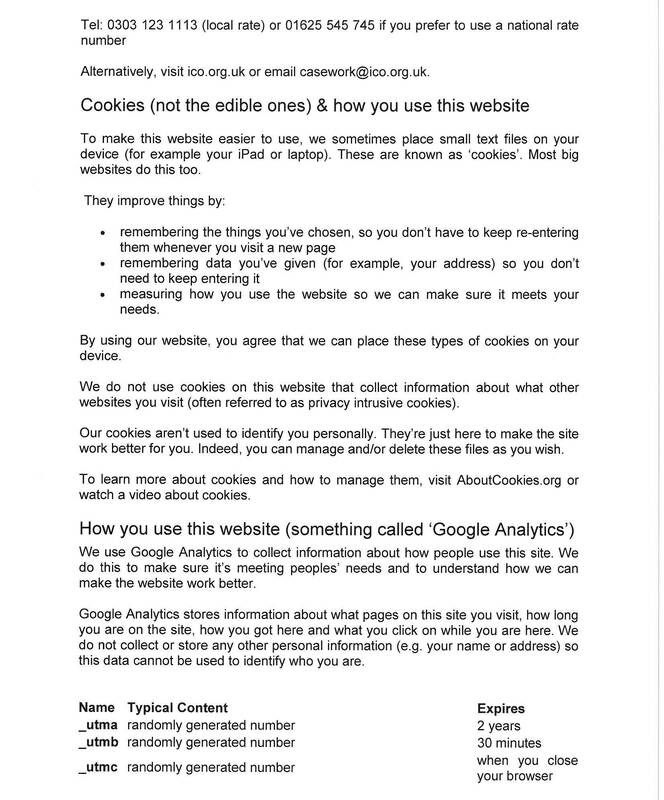 In addition, if you select from the menu on the left it will provide you with a detailed notice for each service type. 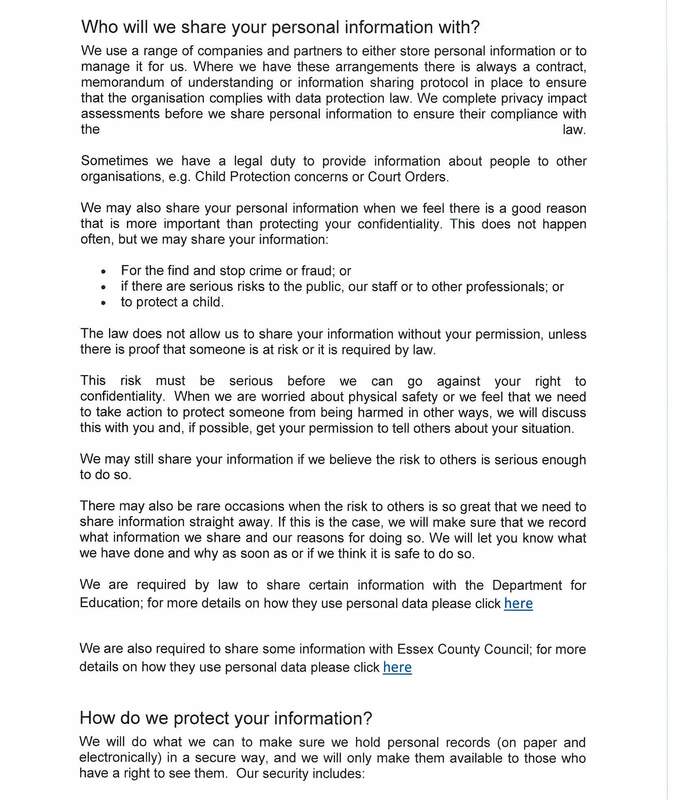 If you have any concerns please contact the school office at admin@montgomery-inf.essex.sch.uk or our Data Protection Officer at DPO@essex.gov.uk .